THE Brits can't get enough of Australian soap operas, pop stars and flat whites. But there's currently one import they would rather do without - the potentially deadly so-called "Australian flu". The UK is currently in the midst of a health crisis with 4.5 million people claiming to have been laid low with what's been dubbed "Aussie flu". Ireland has also been struck with the Republic's first death from the virus last week. The publicly run National Health Service (NHS), which runs the vast majority of UK hospitals, has been forced to cancel thousands of routine operations to make space for up to 200,000 Aussie flu sufferers. Churches in Northern Ireland have banned the customary sign of peace handshake until the crisis has passed. 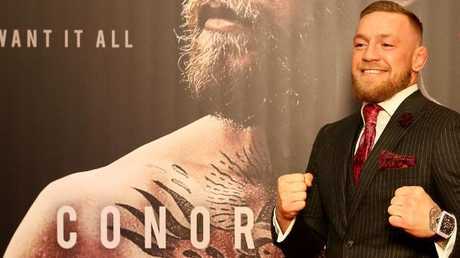 One of the most high-profile sufferers has been UFC star Conor McGregor who said he was left shaking in bed for two days after being struck down with the virus, reported The Sun. McGregor took to social media last week to tell fans his New Year was ruined by the bug from down under. "Well that was a wild New Year's Eve," he wrote on Instagram. "Half the family hit with the Australian flu virus and some even left in hospital with it. "I've never even been to Australia wtf"
Conor McGregor has become the most high profile sufferers of Australian flu. The official name of the strain is the rather cumbersome H3N2 influenza. However, it's been dubbed Australian flu not because Australians in the UK - of which there are around 125,000 - are spreading it. Rather, it's because it's the same strain of flu that caused such havoc in Australia this winter. 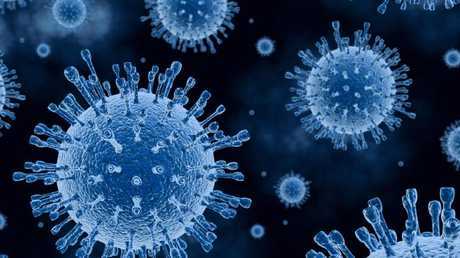 Public health expert Professor Robert Dingwall, from Nottingham Trent University, warned it the flu would be bad. "The reports from Australia suggest the UK might be in for the worst winter flu season for many years," he told The Sun. 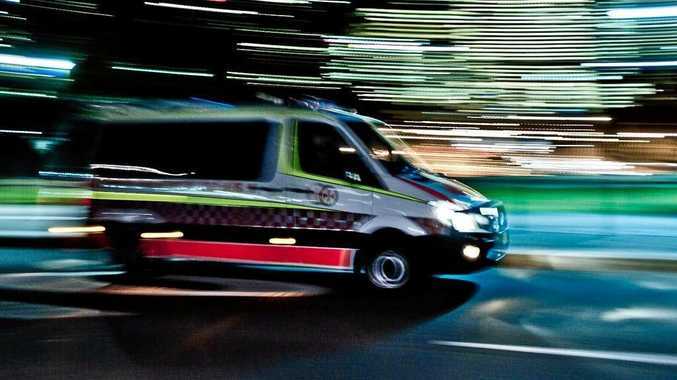 Around 300 flu-related deaths occurred last winter in Australia with a record breaking 172,000 flu cases confirmed by the Department of Health, 2.5 times the previous year. Of those, 87,000 were in New South Wales; 45,000 in Queensland and 17,000 in South Australia. The flu virus regularly mutates and that means it's a constant battle to provide vulnerable people with protection. 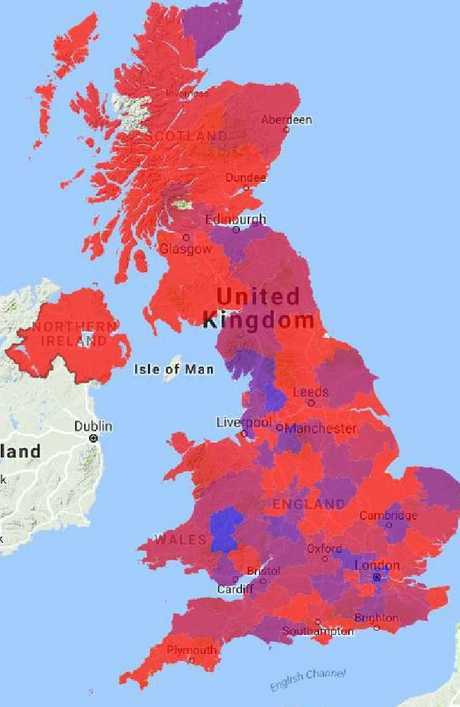 A flu map of the UK has only four local authorities (in bright blue) not afflicted by flu. Picture: Flusurvey. A key factor in H3N2's spread is thought to be its remarkable ability to survive efforts to crush it. For instance, around 85 per cent of people in Australia who received the flu jab still developed H3N2 if exposed to the strain. According to the Flusurvey website, only four local government areas in the UK, out of hundreds, have not recorded a case of the flu. UK Health Minister Jeremy Hunt said the flu virus was pushing the NHS to the limit. "It's too early to say whether we are going to experience what they experienced in Australia. But that has undoubtedly created extra pressures on the system," he told Sky News. In Ireland's second city of Cork, hospital visitors have been banned in an effort to stop people coming into contact with the virus. Hot spots for Australian flu have been identified as Plymouth in England's south west, Doncaster in Yorkshire and Belfast in Northern Ireland. Symptoms of Aussie flu are similar to normal flu but more severe. They include a sore throat and cough, headache, fever and muscle ache.